Pandora FMS (Pandora Flexible Monitoring System) is a flexible and highly scalable monitoring software for networks, servers, applications and virtual environments. Pandora FMS can monitor the status and performance of a different server operating systems and server applications like web servers, databases, proxies etc. 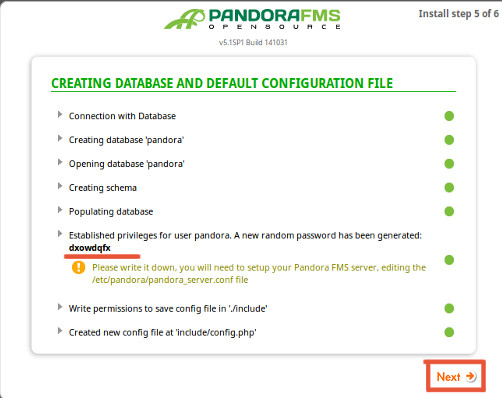 Pandora FMS consists of a server software and monitoring agents. 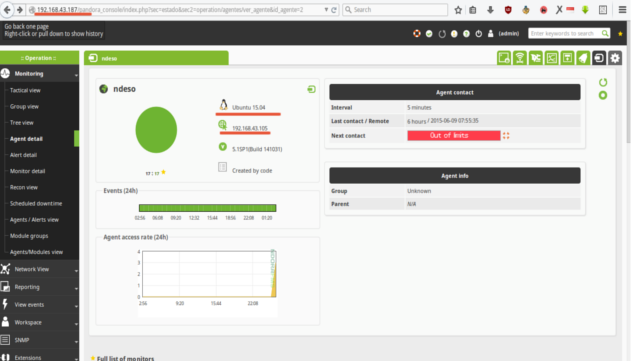 In this tutorial, I will show you how to install Pandora FMS Server on CentOS 7 and how to add a monitoring agent on Ubuntu 15.04. Install the prerequisite packages for Pandora FMS. The first step is to install the prerequisites for the PandoraFMS software on our CentOS Server.The server will run the web-based Pandora UI and it will be the central place where the monitoring agents will connect to. The wimc package is not available from CentOS base repository so we will download it with wget and install it manually. Give 777 permission for Pandora Server Configuration file. Open the pandora server from your browser. http://yourip/pandora_console/. Click Yes, I accept licence terms. 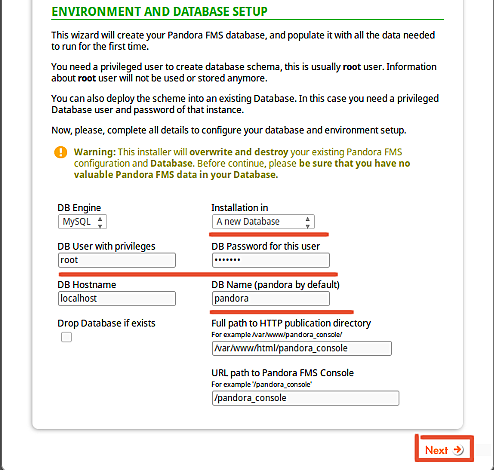 You will Create a New Database with the name pandora with root privileges. Database Configuration is finished successfully. Please note the random password generated - dxowdqfx because you need it for the next step. and finally, the Pandora Console is installed and you now can login with default credentials. username = admin - password = pandora. Before you login to pandora, you need to rename the file install.php in the /var/www/html/pandora_console directory. and now Log in to the Pandora Console. This is a Screenshot after Log into Pandora Console. Download and Install Pandora Server. add the password generated on dbpass line - dxowdqfx. and then start pandora server and tentacle server. At this step, Pandora server has been configured and ready to add new host monitoring to the server. In this part of the tutorial, you will install the Pandora monitoring agent on Ubuntu 15.04 and add it to the pandora server. and then start Pandora agent. Pandora Server CentOS 7 with IP 192.168.43.187 is running. Ubuntu 15.04 with the IP 192.168.43.105 has been monitored. 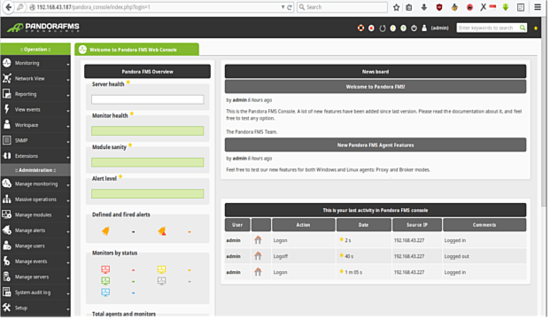 Pandora FMS is powerful monitoring tool for a servers, networks and applications. It is easy to configure and deploy onto the servers. Pandora FMS can monitor different operating systems like Linux, Windows, HP-UX, Solaris and BSD and has a complete documentation library. The wget URL is broken. Hey Muhammad, GREAT POST!! Very helpful! BTW, 6.0 version is live. http://blog.pandorafms.org/pandora-fms-6-0-is-finally-here/ Have you tried last version?